Welcome to the Collierville Chrysler Dodge Jeep Ram Automotive Finance Center! 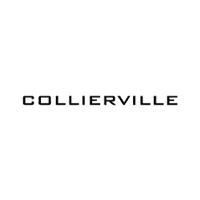 At Collierville Chrysler Dodge Jeep Ram, we offer competitive auto financing in Collierville on our great selection of new and used trucks, cars, and SUVs. Once you’ve found the perfect new Chrysler, Dodge, Jeep, Ram, it’s time to seal the deal – that’s where the Finance Department comes in. Our accommodating on-site staff is here to help you through the entire car-buying process, whether that’s showing your our latest lease deals and finance offers or helping you secure auto financing in Collierville so you can drive off the lot and into Oxford, MS in the new car of your dreams. Our finance experts will guide you if you are ready to begin the financing process. Contact the Collierville Chrysler Dodge Jeep Ram finance team today, or start the process from home by filling out our secure finance application online. For affordable and competitive Chrysler, Dodge, Jeep, Ram financing in Collierville, trust the experts at Collierville Chrysler Dodge Jeep Ram.